LWRC ICDIR3CK16ML: The LWRCI Di is made with the same craftsmanship and design excellence that comes with every LWRCI firearm. Built from the ground up to be more than just another direct impingement rifle, it delivers the quality every rifle enthusiast demands with innovation that's expected from LWRCI. 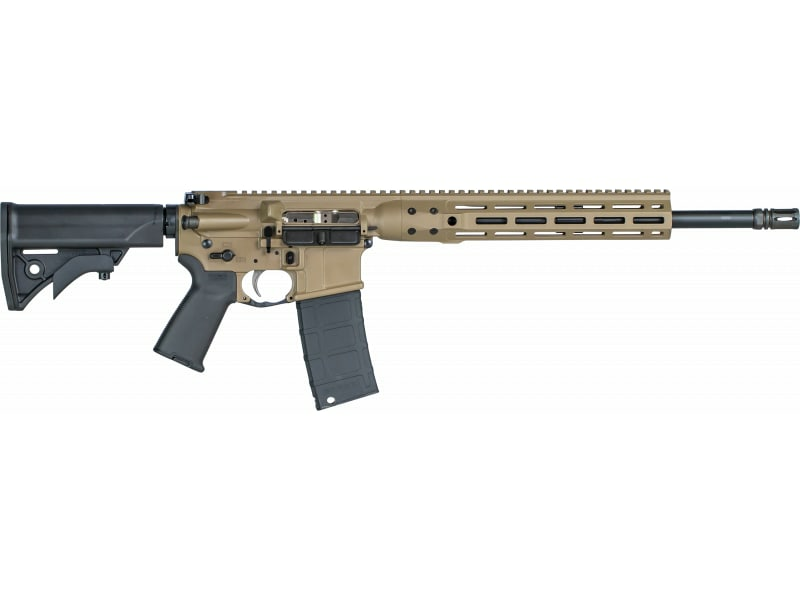 It features a "keyless" bolt carried design and ambi lower receiver.The IC Di M-Lok model featuers a M-Lok free-float rail, NiCorr-treated LWRCI DI gas block and gas tube, cold-hammer-forged, NiCorr-treated barrel with an A2 flash hider and a Monoforge upper receiver. Its lower features fully ambidextrous controls which includes mag release, bolt catch & release, and safety selector. The IC Di M-Lok also utilizes a Magpul MOE+ grip, LWRCI compact stock w/ QD sling, Mil-Spec, 6-position buffer tube and LWRCI ambidextrous charging handle.